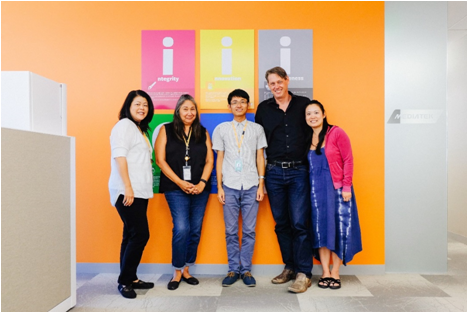 Situated in a peaceful city where year-long sunshine and breathtaking beaches have attracted countless tourists, the MediaTek office in San Diego welcomed me with open arms. As a birthplace of innovation, it is a place bringing everyday genius. Besides the Bay Area, San Diego has long been a pool of technology pundits. Giants such as Qualcomm, Intel and Broadcom have all set up offices here in the hopes of recruiting outstanding talents. Being one of the leading IC-design companies around the globe, MediaTek lays the door open for top engineers who are expert in wireless communication systems. Although the one-floor office might not appear as magnificent as the one in Taiwan, what the talents inside have been working on is beyond expectation. For one, the WCT Department is currently designing an efficient vector processing engine that is capable of performing multiple functions. For another, CSD Department strives to propose next-generation wireless and mobile standards, i.e., the 5G system. To avoid wasting too much time in the complicated bureaucracy, the office is maintained at a manageable scale and there are 34 full-time employees at present, with one HR and one IT staffer. Flexibility is accentuated: no fixed break time at noon or mandatory working hours. If you want a short rest, you can always find delicious snacks and hot coffee at the break room where the sunlight would refresh you again. MediaTek never stops looking for best talents, and internship programs serve as a way of cultivating the appropriate ones. Interns are invited to take part in projects ranging from surveying the state-of-the-art research to implementing each module for simulation. 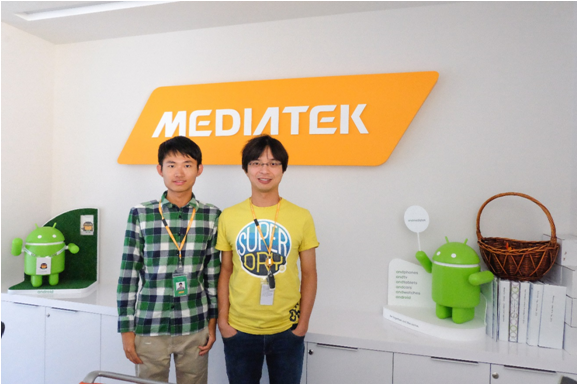 As an intern from Taiwan, it is unquestionably a golden chance to work with MediaTek’s experienced engineers from various countries and to train my capability of solving real-world problems. While Chinese engineers are used to starting a discussion after understanding sufficient background, American ones enjoy learning by actively discussing. However, MediaTek embraces the inclusion of diversity and believes the difference grows into stronger forces. Through hands-on experiences from the program, I began to understand how I should further improve myself to make greater contributions at MediaTek. Enjoying a colorful plate of the world-famous Mexican salmon tacos in Old Town after exploring the coves and cliffs where there are lots of seals, pelicans and squirrels in La Jolla, I feel deeply proud and enthusiastic to join in the MediaTek international internship program─to be committed to creating more everyday genius.